20 January is the closing date for the submission of expressions of interest in response to the call by the Privatisation Unit for the setting up of a Motorsports complex in Malta. 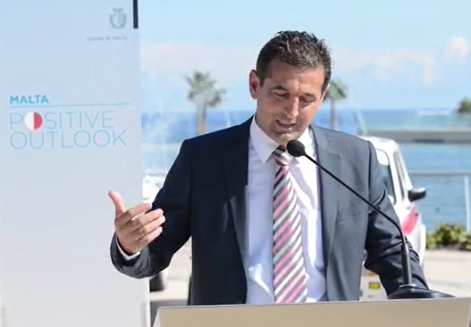 During the press conference that launched the call on 29 September, Parliamentary Secretary for Sport Chris Agius emphasised the fact that the choice of location was up to the investors presenting the submissions, even though several sites were proposed in the consultation process leading up to the call for expressions of interest. However, Sam Collins, writing on 25 April last year on an online motor-racing guide, under the heading Malta eyes Formula 1 with new circuit stated that a “110 hectare parcel of land has been earmarked for the development.” It is pretty obvious that the as yet unidentified “110 hectare parcel of land” to be used for this proposed motorsports complex will be situated outside the development zone (ODZ). Each hectare consists of 10,000 square metres, meaning that 110 hectares equals one million, one hundred thousand square metres. The basic question which had to be addressed – but which most obviously has not been addressed so far – is whether Malta can afford to waste this much land. The answer, in my opinion, irrespective of the number of motor-racing car enthusiasts on the island, is clear and unequivocal: Malta cannot waste any more of its limited land. The sites that have been possibly earmarked are limited in number, as Malta’s size does not present too many options and the impact of the selected site will be substantial, irrespective of its current use. Development on the parcel of land selectedcould have a substantial impact on areas of ecological importance that are protected either in terms of local policy or else as a result of EU or international commitments. Knowing that most of the undeveloped land along Malta’s coastline from Bengħajsa right up to Ċirkewwa is protected for ecological purposes, this could be the case, particularly if the identified parcel of land is close to the coast. The impact could be further increased in view of the possible proximity of the selected parcel of land to residential areas. A specific area, mentioned consistently through the grapevine, would lump these impacts on Malta’s political south, further adding to the disregard for residents’ quality of life in the region accumulated over the years. There are, therefore, three issues on the basis of which the proposed facility is objectionable: firstly, that Malta is too small for such a development; secondly, that the environmental impact will be substantial and thirdly, that the neighbouring residents’ quality of life, as well as biodiversity and natural resources, will be bartered for short term economic gain. Depending on the precise eventual location, it may be possible to mitigate and reduce the impact on residents. However, it is most probable that a reduced impact on residents would signify increased impact on natural resources and biodiversity. In my opinion, this signifies that even on the drawing board the project should have been a non-starter. In recent months we have had the Żonqor “University” debacle. A major sticking point in that case was that the original proposal was to use land situated outside the ODZ and public opinion’s unifying reaction was “No to ODZ development”. The Parliamentary Opposition, both inside and outside Parliament, took a clear stand against the ODZ Development proposed at Żonqor. 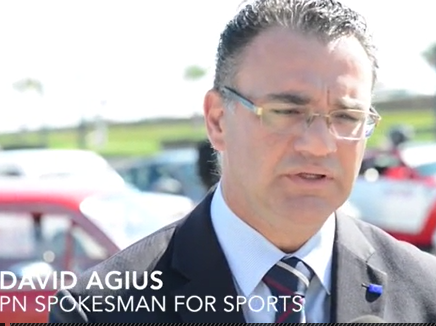 Yet in the case of the proposed motor track facility, the Opposition Spokesperson on Sport, David Agius, was invited to be present when the call for expressions of interest was launched. 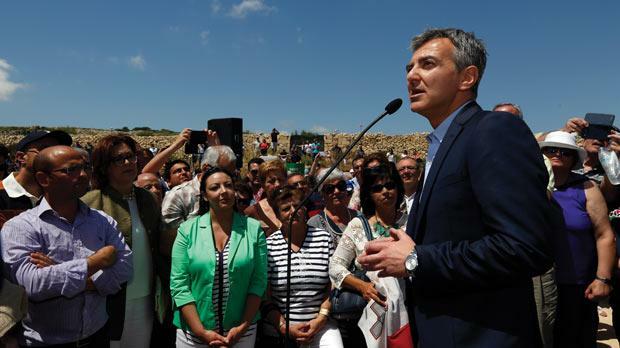 His presence confirms that, notwithstanding Simon Busuttil’s solemn declarations on the sanctity of ODZ land, the proposal for the (ODZ) motor track facility enjoys bipartisan support. Which means that Simon’s talk on ODZ is just bluff. The latest shots in Malta’s environmental siege that followed so soon after the Żonqor debacle, were fired earlier this week by Parliamentary Secretary Chris Agius who, accompanied by PN Sports spokesperson David Agius launched a call for expressions of interest in connection with the Concession for the Design, Build and Operation of Motor Recreation and Education Park. The call specifies the functions which must be fulfilled, namely national and international motor racing events, motor sport training and other related activities including motor research and development. Ancillary activities deemed to complement the project can also be included. The terms of the call are very wide such that it is ensured that those responding would have sufficient flexibility. The proposed site has not been selected yet, although, as declared by Parliamentary Secretary Agius, the government is aware of the available potential sites due to it having been lobbied by motor racing groups for quite some time. TVM news stated on Tuesday that three specific sites have been identified. From other sources it is known that one of the sites is in Ħal-Far while a second one lies in the limits of Siġġiewi. The location of the third site is so far unknown. On Thursday, Siggiewi Mayor Karol Aquilina commented that the area known as Ta’ San Niklaw, close to id-Dar Tal-Providenza Siġġiewi, which, he said, was potentially being considered as a candidate site. I think that it is highly unlikely that the Siġġiewi site would be selected in view of the fact that all indications in the past three years have pointed towards the Ħal-Far area as the preferred location. But one never knows. The call does not limit the site area. Motor racing enthusiasts are speaking of approximately 80 hectares of land which would be required for a three to five kilometre racing track as well as the ancillary facilities. In 2013, during the electoral campaign, the footprint referred to was much smaller, around half the size. The call for expressions of interest refers to protection of the environment, protection of cultural heritage, long-term sustainability of the project as well as adherence to Natura 2000 protection criteria. Interestingly, however, the call makes no commitment to protect agricultural land. This may be very indicative as to what lies in store. The scale of the project and its uptake of land, is massive by Maltese standards. It is also out of proportion to the size of the Maltese islands. Irrespective of the selected site, the land used will undoubtedly include large areas of agricultural land still in use. In good time we will also be informed that abandoned agricultural land will also be incorporated into the project. In such a large area, most of which has never been substantially disturbed, it is also inevitable that some archaeological remains will surface. There are also issues of air quality and noise pollution. These impacts will be of relevance to communities closest to the selected site. The submitted proposal will undoubtedly include mitigation measures, in particular those relative to noise pollution. Residents have votes and as a direct consequence of this fact there will be a concerted effort to minimise the impact of noise in residential areas. The extent to which this is successful and/or acceptable can only be established when the exact parameters of the proposal are known. Noise pollution will, however, be a major issue irrespective of the identified site. The Habitats Directive of the European Union is applicable to a number of areas in the Maltese islands. Through the implementation of this Directive, it is not only the specific sites which are afforded protection. This protection extends beyond the sites to activity in the area surrounding the sites in so far that the said activity will have an impact on the protected sites. The proposals to be submitted will have an impact on nocturnal natural life on the selected site and its surroundings. Such nocturnal life is heavily impacted by both noise and light pollution which will result from motor sport activities . Farm animals in the vicinity of the selected site will also be in for a hard time. Noise pollution from the racing track will have a considerable impact on the operation of farms as well as on farm animals. 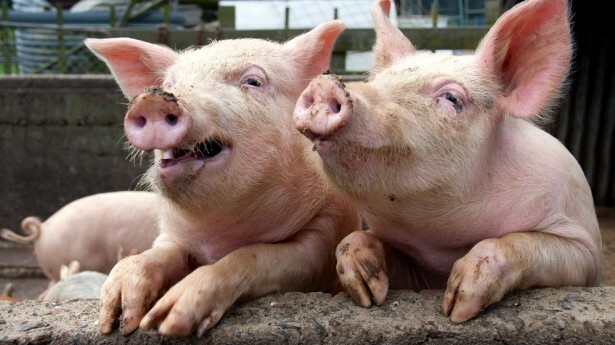 Pigs, cows and birds do not vote. If they did we would definitely not need to worry about ODZs any more. Is-sejħa għal espressjoni ta’ interess biex jinbena u jitħaddem ċirkwit għat-tlielaq tal-karozzi li ħareġ iktar kmieni din il-ġimgħa mill-Gvern hu attakk ieħor fuq l-art barra miż-żona ta’ żvilupp (ODZ). L-iżvilupp li qed jikkonsidra l-Gvern hu stmat li jista’ jirrikjedi sa madwar 800,000 metru kwadru ta’ art (80 ettaru) u ma jista’ jsir imkien jekk mhux f’ODZ – jiġifieri barra ż-żona ta’ l-iżvilupp. Malta u Għawdex huma żgħar wisq u l-ftit art li baqalna mhux mibnija barra miż-żona ta’ żvilupp għandna bżonn li nipproteġuha aħjar. Il-Gvern, sfortunatament qed jagħmel minn kollox biex jinkorġġixxi kemm jiflaħ żvilupp fuq art ODZ. Hi ta’ ħasra li f’dan il-każ il-PN għoġbu jagħti appoġġ lill-Gvern, liema appoġġ intwera pubblikament permezz tal-parteċipazzjoni tal-kelliemi tal-PN għall-Isports David Agius f’konferenza stampa flimkien mas-Segretarju Parlamentari Chris Agius. Apparti t-tniġġiż tal-arja kkawżat mhux biss mit-tlielaq imma wkoll mis-sessjonijiet ta’ taħriġ fiċ-ċirkwit propost, hemm ukoll il-ħsejjes esaġerati minn karozzi misjuqa b’veloċità kbira li se jkunu ta’ inkonvenjent kbir għal dawk li jkollhom l-isfortuna li jkunu ġirien taċ-ċirkwit. Nittama li din tkun ħolma oħra kerha, li tgħaddi, mal-bosta li l-Partit Laburista fil-Gvern qed joħloq fil-qasam ambjentali. Sadanittant il-Partit Nazzjonalista qiegħed f’dilemma. Jeħtieġlu jispjega kif, meta jfettillu jikkritika l-iżvilupp fl-ODZ fiż-Żonqor u issa jappoġġa proposti ta’ żvilupp fl-ODZ, bħalma qiegħed jagħmel bl-appoġġ li qiegħed jagħti f’ismu l-Membru Parlamentari David Agius għaċ-ċirkwit tal-karozzi tat-tlielaq. Il-kontradizzjonijiet tal-PN jiżviluppaw quddiem għajnejk!